Enjoy an afternoon performance by the May Erlerwine Trio, Sunday November 5th starting at 3PM. 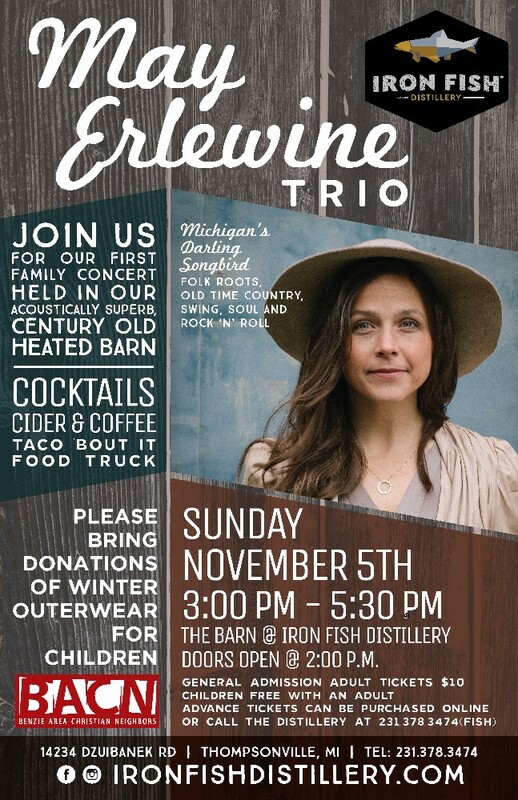 This will be the first family concert held inside Iron Fish Distillery’s historic and acoustically superb, century old heated barn. Sometimes our destination is the winding path. 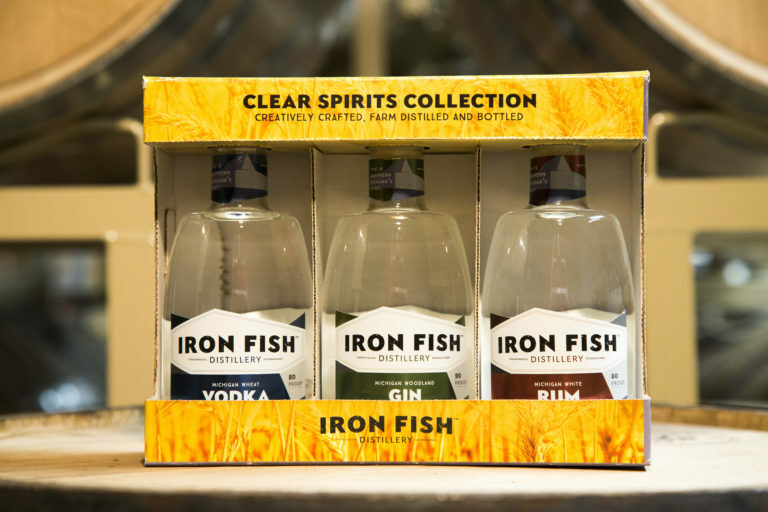 In celebration of discovery we’ve assembled our three top-selling clear spirits, conveniently packaged for gift-giving, party favors, (and downright selfish indulgence!) Wander wisely. 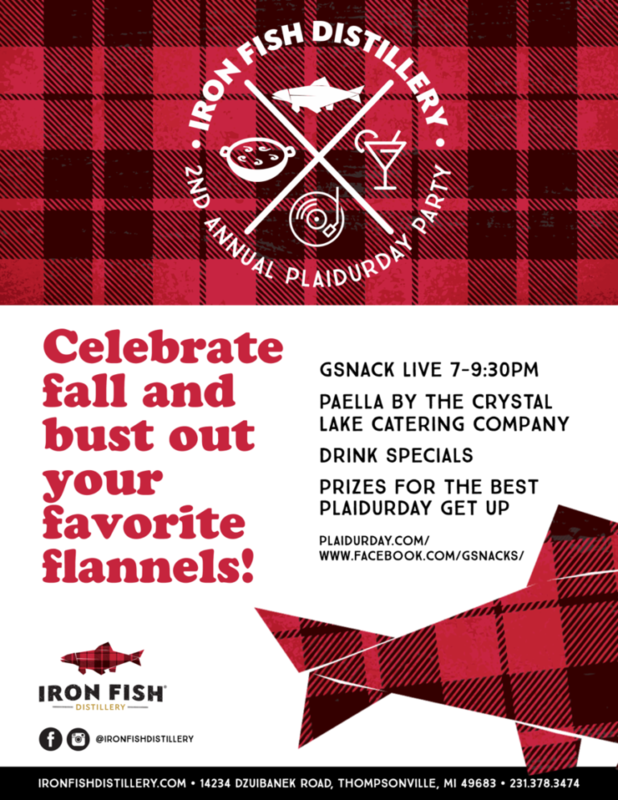 plaidurday.com October 6 celebration of plaid!